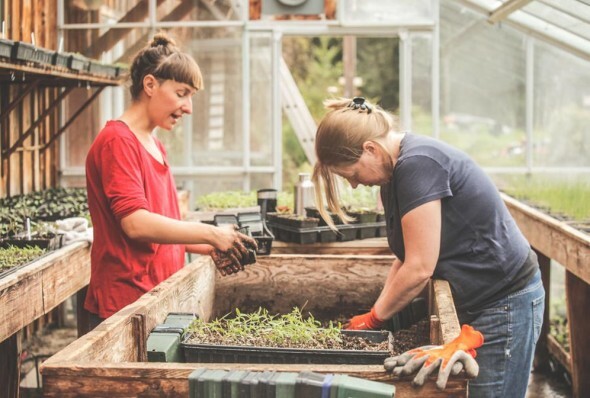 Women across North America are getting their hands dirty in the unpredictable and often unprofitable industry of sustainable agriculture. What is driving these shifts, and what does it mean for the future of organic farming? Six years ago, I would have never guessed I would find myself falling in love with the feeling of my hands in the soil. I never thought watching seeds sprout from the earth would feel so gratifying to me, and that I would prefer to eat a dirt covered carrot fresh from the ground than a KitKat. My idea of a farmer was a man on a tractor with a flannel shirt, overalls, and a hunk of chew wadded up in his cheek (and that was when I thought about farmers at all, which was not very often). I wanted to move to San Francisco or New York and immerse myself in the spoils of city life any night of the week. But unexpectedly, unpredictably, and undoubtedly, I fell in love with farming. My interest in agriculture was sparked in university, but solidified in the past year through my participation with the WWOOF program, or World Wide Opportunities on Organic Farms. The people I met and experiences I had working with food growers broke down any stereotypes I had about farmers, especially the notion that farmers are men. In fact, the majority of gardeners I met and came into contact with across B.C., Alaska, and the Yukon were women. As it turns out, this trend is no coincidence. According to the U.S. Department of Agriculture’s Economic Research Service, women-operated farms more than doubled between 1982 and 2007. In fact, female farmers now make up the fastest-growing sector of the U.S.’s changing agricultural landscape, and nearly 1 million women, about a third of domestic farmers, list farming as their primary occupation. Many of these women are college educated and did not inherit farmland from their families, suggesting an ulterior motivation for entering such an unpredictable and demanding profession. So, what could be the drive behind this recent change to the face of farming? I became interested in organic farming and gardening because of the gratification I get from working outside with plants every day and watching them grow into delicious and nourishing food. I enjoy the feeling of cracking a brew after work, feeling tired and satisfied from a day of tangible food production. Having grown up in Seattle then attending university where I was on the computer every day and the work was all mental, working in a garden was a refreshing change. The work with soil and seeds is concrete, constructive, and dynamic and offers the much more hands on type of education I was craving after sixteen years of school. Working with tools and engaging in physical labour has also been empowering for me, as it has felt like a defiance of gender norms to some extent. Through working on gardens and farms, I was able to learn skills such as using a chainsaw and driving a tractor—skills I typically associate with the male arena. Additionally, in knowing exactly where my food is coming from I am making my own small contribution to making food production a healthier and more sustainable practice. Janet Whalen Zeller, co-founder and co-director of Soil Born Farms Urban Agriculture Education Project in Sacremento, California, is seeing a similar trend. “It [was] a total girl-power year around here,” says Zeller in an interview with Over Grow the System. The majority of the farm’s apprentices have been women in the past two years, and Zeller suggests it is because young women are becoming attracted to sustainable agriculture because of an interest in both social justice and curbing the harmful environmental practices of industrial-scale farming. Although men are also among this cohort of new young farmers seeking to make a change in the way our food system is run, women may also have more health based motives. According to a 2013 Food and Health Survey conducted by the International Food Information Council Foundation, women are more likely to purchase organic food, think about food safety, and evaluate health, nutrition, and sustainability in making their decisions about the food they are buying. Although women’s increased participation in organic farming has been categorized as a new phenomenon, historically women’s involvement in farming is nothing new. Women have been food providers for much of human history. In many parts of the world, women are the dominant food producers. According to the FAO, in sub-Saharan Africa women contribute 60 to 80 percent of labour in both food production for both the household and for sale. Many of these farms are on small parcels of land and require hand tools rather than large equipment. In terms of human history, heavily mechanized industrialized agriculture is a relatively recent phenomenon. However, they also note that many women are finding the work deeply fulfilling. 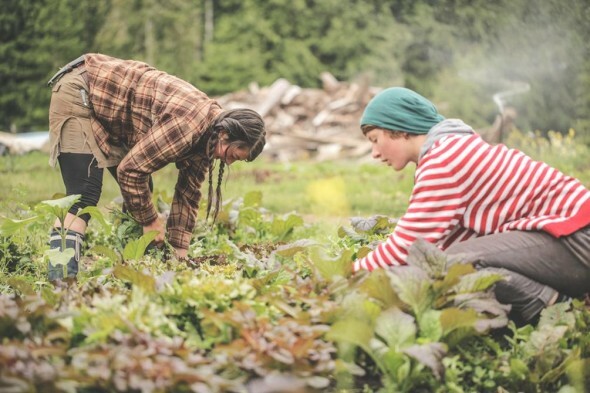 Their efforts are extending beyond the fields, and they are now advocating for better policies such as an increase in government support for family farms, and subsidies for local food promotion and farmers markets. Many women are also overcoming the barrier of land expenses through participating in urban gardening. It is unclear what the effect of women’s increasing involvement will have on the future of our food, but hopes and motivations are high. “I think the key to our future generations’ support of women in farming is for our children to be taught what farming actually is and to see that it is a truly viable vocation for women. 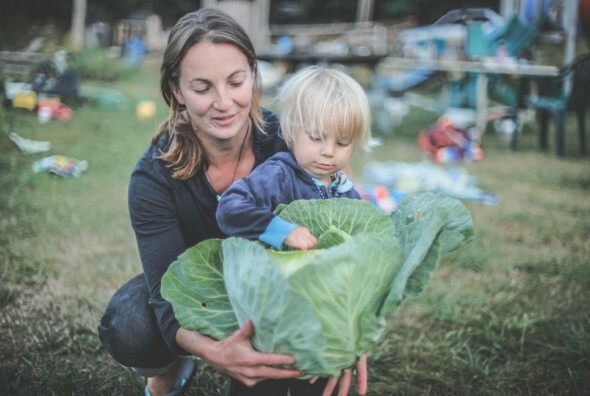 In order for small scale farming to survive, I also believe the key is to educate our children about what real food is and the cost of real food,” says Kathryn Miller of Blackbird Farm, in a guest essay on the Female Farm Project. Molly Payne is a graduate of Quest University Canada in Squamish B.C. where she studied community based natural resource management and gender studies. She currently lives in Seattle, WA where she works for Project Feast, a non-profit focused on empowering immigrant and refugee women through cooking and food service skills.